Lord Parsurama was born. Parsurama is considered the sixth incarnation of Lord Vishnu. Parsurama was the song of Jamadagni and Renuka. Veda Vyas began to write Mahabharata. Lord Shiva and Parvati had married on this day. The day is considered one of the most auspicious days of the year. All Muhurtas are considered Shubh Muhurtas on Akshya Tritiya. One other such auspicious days is the day of Vijaya Dashami (Dashain Tika). The day Akshaya Tritiya means – nothing will be lost. The day is also known as a donation day. Everything donated on the day will result in a good omen. On the day, barley flour is cooked to make ‘satu’ and ‘sarbat’ is made by adding molasses, sugar, curd and ghee. Donating satu and sarbat to others is believed to help in gaining a fruit that is never finished (Akshaya). All the guests in the house are fed satu and sarbat on the day. Such gesture is believed to make Lord Vishnu happy. Scientifically, the tradition to eat satu and sarbat also have positive benefit to human. The festival falls at the time of the start of hot season – at the end of April. 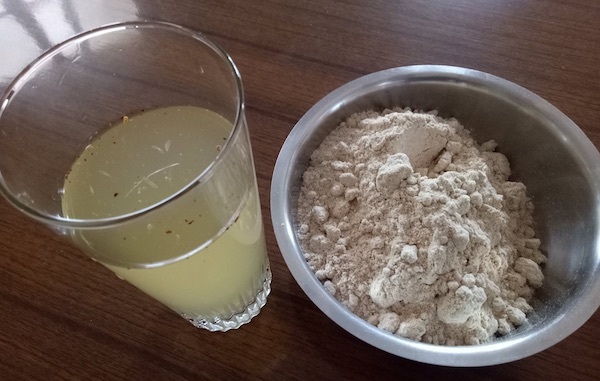 Sugarcane sarbat and barley flour are believed to help body in coping with the heat.